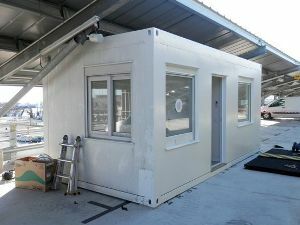 To be used as reception sentry box, sentry post, cabin and booth, Containers Solution offers technical assistance enabling answers to your needs : the modular sentry box is based on sandwich panels solution. 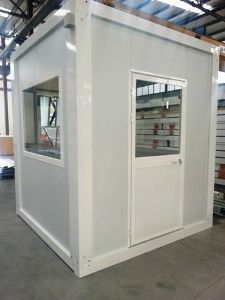 Thanks to our huge experience regarding modular bungalows, work camps and technical shelters, Containers Solutions is now proposing modular sentry boxes and cabins, made of sandwich panels. 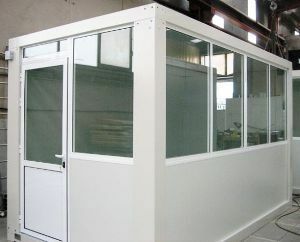 The size of those booths or sentry boxes can vary from 1.5 square meters to several square meters. Mostly used as sentry post, security guards safety or ticket office, our clients also used it for various purposes such as checkpoint, point of sale (newspapers, souvenir, grocery …), information point, facility, etc. Sturdy, reliable and easy to assemble: These are the feedbacks that our client give us regarding our products. sandwich panels made of rot-proof foam adapted for doors and windows. Our kits are fully equipped and all the assembly accessories are supplied in flat pack kit set ! Thanks to the modular technology from which were conceived, it is really easy to propose the dimensions and the surface of your sentry box adapted to your needs. We count on a range of standard models, but more than 70% of our products are customized to precisely match with your expectations. Our technical consultants accompany you to create the modular sentry box you really need. As well as our bungalows, whole our entry boxes can be delivered in kit set inside shipping containers. 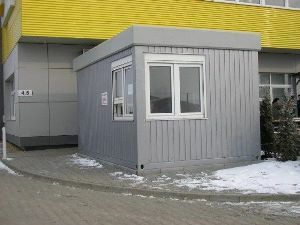 Depending on the sizes, it is possible to pile several tens of sentry boxes or modular booths on top of each other in just one shipping container. We supply a detailed assembly manual when the product is delivered. We can also send a supervisor on site to help you during the assembly and positioning phases (on estimate only). For any modular sentry box project, feel free to contact us! One of the strengths of Containers Solutions is to adapt to the demands of our clients. 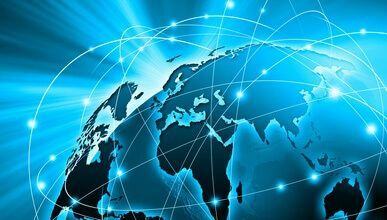 Submit to us your needs, even the most specific ones, and we will do our best to provide an adapted technical answer.